PharmaLive > People on the Move > Appointments > CMI/Compas Names John Donovan as President, Compas Inc.
CMI/Compas, media planning and buying for the nation’s top healthcare companies and part of WPP (NYSE:WPP), announces the promotion of John Donovan to President, Compas. Donovan was most recently Chief Financial Officer for CMI/Compas. As President, he will have a strategic focus on growth, strong supplier partnerships and client deliverables. CMI/Compas is the only agency with a department 100% focused on prioritizing and optimizing supplier relationships for better solutions for our clients. 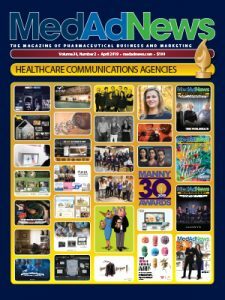 CHERRY HILL, N.J., April 10, 2019 /PRNewswire-PRWeb/ — CMI/Compas, media planning and buying for the nation’s top healthcare companies and part of WPP (NYSE:WPP), announces the promotion of John Donovan to President, Compas. Donovan was most recently Chief Financial Officer for CMI/Compas. As President, he will have a strategic focus on growth, strong supplier partnerships and client deliverables. CMI/Compas is the only agency with a department 100% focused on prioritizing and optimizing supplier relationships for better solutions for our clients. 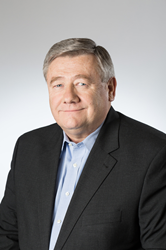 In Donovan’s previous role as CFO, his primary responsibilities at CMI/Compas have been overseeing the financial health of CMI and Compas, and all related accounting and auditing functions. He played a major role in the high-level details surrounding the 2015 acquisition of CMI by WPP. In addition, he had been responsible for negotiating client and supplier contracts as well as handling the insurance, banking and 401(k) plans. Previous to his role at CMI/Compas he was controller of Trinity Communications, a full-service agency co-owned by Woodland. Donovan’s promotion is part of an overall strategy to continue the strong growth and innovation of CMI/Compas and has included the introduction of a new approach to client service that ensures the happiness and growth of clients as well as the individual employees of CMI/Compas. The changes have also included several other high-level promotions. More can be seen here: https://www.cmimedia.com/press/cmi-compas-expands-leadership-to-support-the-next-chapter-of-growth-and-innovation. Well-known as a media planning and buying organization for healthcare clients, sister agencies CMI Media, LLC, a WPP company (NYSE: WPP, http://www.wpp.com), and Compas, Inc. together form the indispensable strategic marketing partner to the world’s game-changers in health, offering guidance at every level of marketing. CMI/Compas focuses on core service offerings of Audience Strategy and Non-Personal Promotion Strategy, Planning, Buying, and Customer Insights and performance management/precision analytics. With continuous investment in the things that really matter, CMI and Compas have achieved unsurpassed tenure of healthcare marketing talent, clients and suppliers. CMI/Compas has eight offices across the US. The family of companies is actively recruiting for healthcare marketing jobs via http://www.cmimedia.com/career.